We love camping. 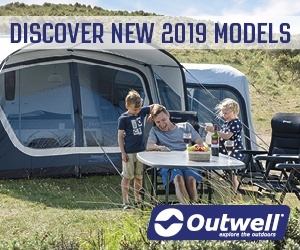 We love going back to basics – what some people may call “roughing it”. That doesn’t mean we don’t like a bit of luxury too! And that was just what was in store for us as we headed of to the Derbyshire Peak District to stay at Sandybrook Country Park. We had a pet-friendly family-friendly luxury lodge that was fitted out immaculately. It was like staying at a posh hotel! Now sometimes, when you stay at somewhere labelled ‘pet-friendly’ it can be a little tired. This certainly wasn’t the case at Sandybrook!  If you’ve seen the luxury lodges at the Camping, Caravan, and Motorhome show, you’ll know what to expect. Our lodge had two bedrooms and a large open plan living space, and was decked out with real wood on the floors and walls. Patio doors from the living room lead out onto an enclosed veranda deck, so safe to stop little kids (and pets) wondering off. Despite being a relaxing weekend, we still packed it full of activities. Sandybrook run a Go Active! set of activities to keep the family occupied. We did a family archery session. This was an hour and half, and so plenty of time to master the basics and improve our aim, with lots of games to make it fun, such as trying to burst all the balloons on the target. Sandybrook also has a small pool, complete with jacuzzi and sauna. Activity sessions are run there to, such as Water Walkerz for the kids. Here are some of the Acitivities available (see the Sandybrook website for the latest activities and prices). Archery: Age: Over 7 years Duration: 1.5 hours Ready? Aim. Fire! Let an Archery GB activity leader show you how to shoot a bow with accuracy and hit the gold with ease! With fun games and competition, there is something in this session for everyone. 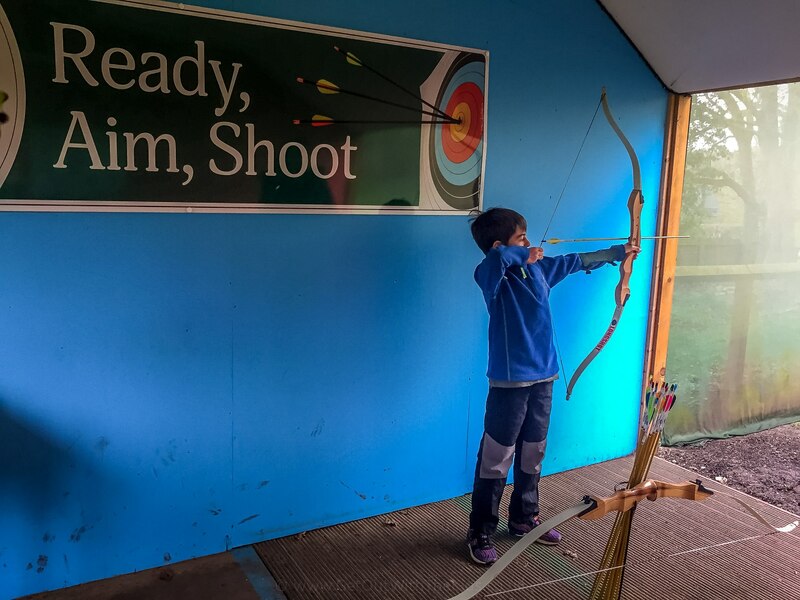 Crossbow: Age: Over 12 years Duration: 1 hour Join an Archery GB activity leader and test your hand/eye coordination with a range of fun activities that will test how precisely you can shoot a Crossbow. Enjoy all the fun of archery but with more precision aiming. Fencing: Age: Over 7 yearsPrice: £8 Duration: 1.5 hours Work up a sweat in this fast paced high intensity sport. With a British Fencing activity leader, you will learn all the footwork and sword skills you need to parry, riposte and disengage your way to victory. 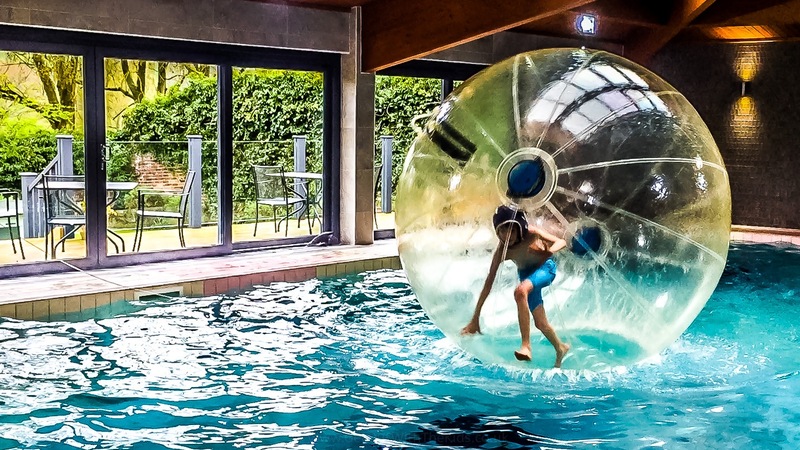 Body Zorbs: Age: Over 6 years (maximum weight is 14 stone) Duration: 1.5 hour Have fun in a giant inflatable ball running, rolling and falling over in this thrilling, fun and crazy session. 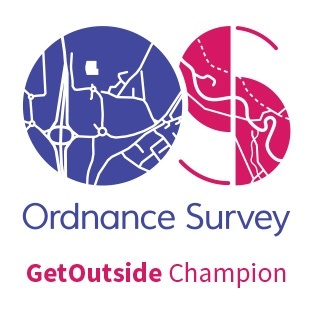 Participants will take part in a fun range of team and individual activities. WaterWalkerz: Age: Over 5 years (maximum weight is 14 stone) Enjoy a range of thrilling and unique activities as you learn to walk on water and compete to see if you can top our infamous leader-board in one of our giant inflatable WaterWalkerz balls. Snorkelling and Sea Scooters: Age: Over 9 years Duration: 1.5 hours Learn to snorkel with a British Sub Aqua Club (BSAC) instructor and try out our submersible diving sea scooters. Explore the pool like never before and learn to swim like a fish! For smaller children, there’s a soft play area. There’s also a shallow childrens area in the swimming pool. The games room was also popular with our kids. 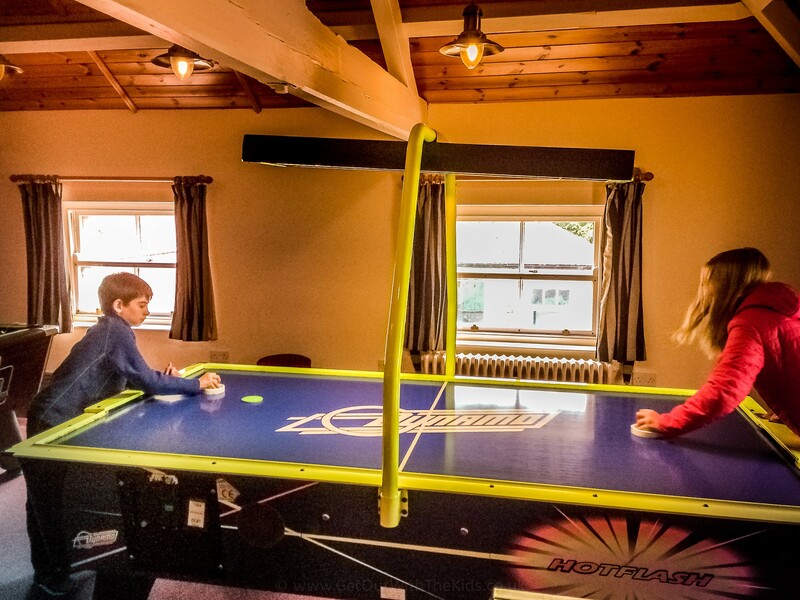 Air Hockey and Pool Tables in the Games Room at The Coach House. 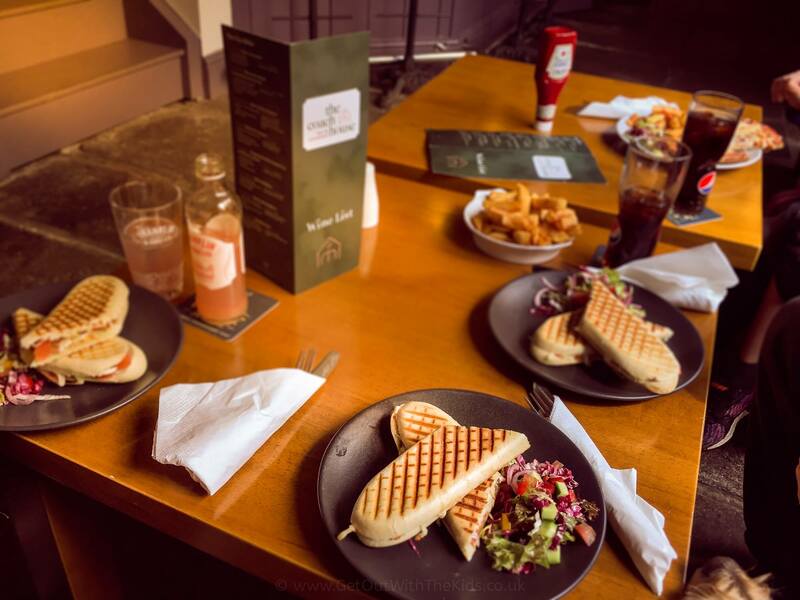 Sandybrook also has its own pub and restaurant called The Coach House (which is also child and dog friendly). We popped in for a spot of lunch in between activities, a drink in the evening, and even got fresh stonebaked pizza takeaway from there. 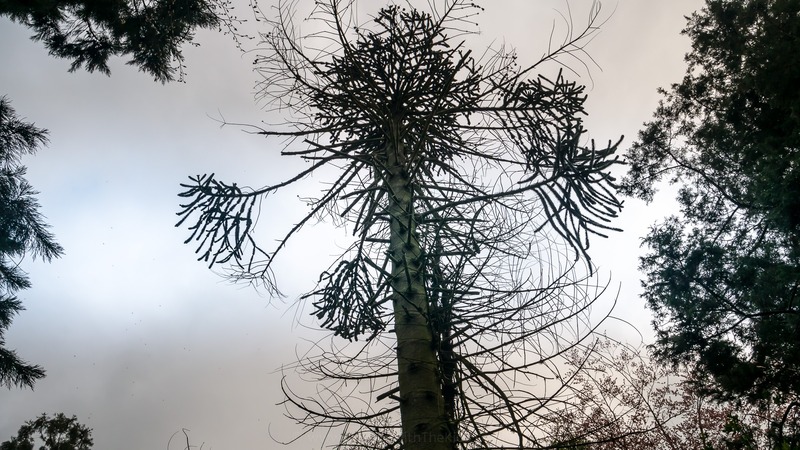 Without leaving Sandybrook, there’s a little woodland walk where kids can make dens, as well as collection of different pine trees, including this interesting looking Monkey Puzzle Tree. 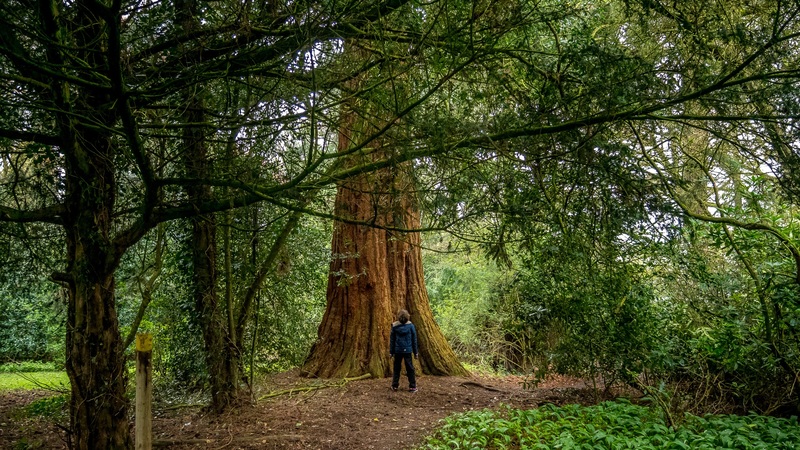 Another tree we recognised from our travels, was this giant Californian Redwood. There are lots of things to do in the area. 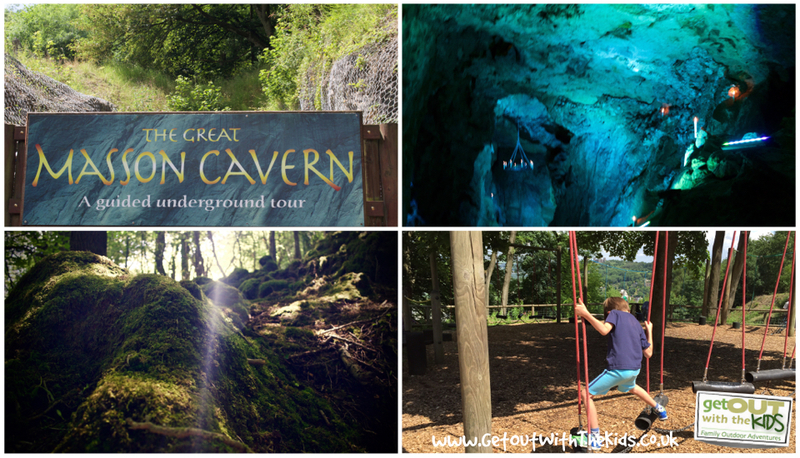 This time, we visited the Manifold Valley, and did a bit of exploring. 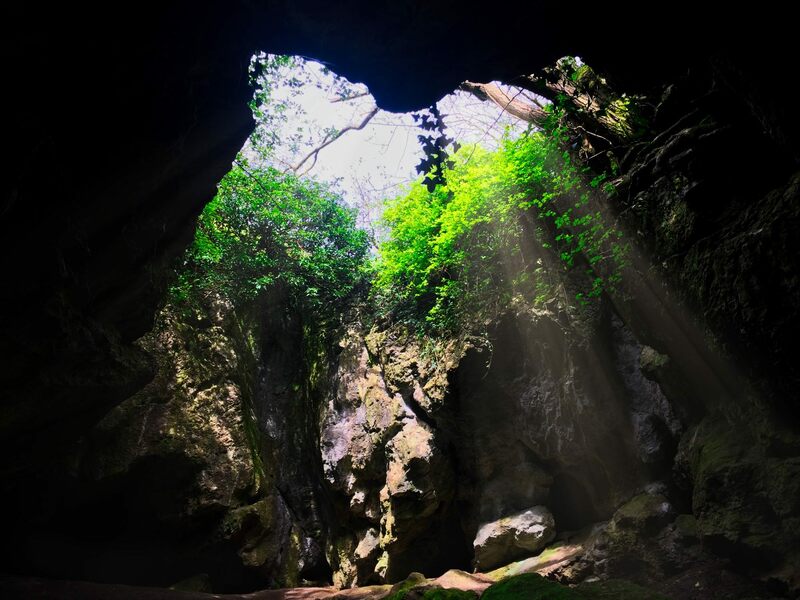 Including finding this sunny spot inside a cave! This is Ossum’s Cave at Wetton Mill, and was used in the stone age. 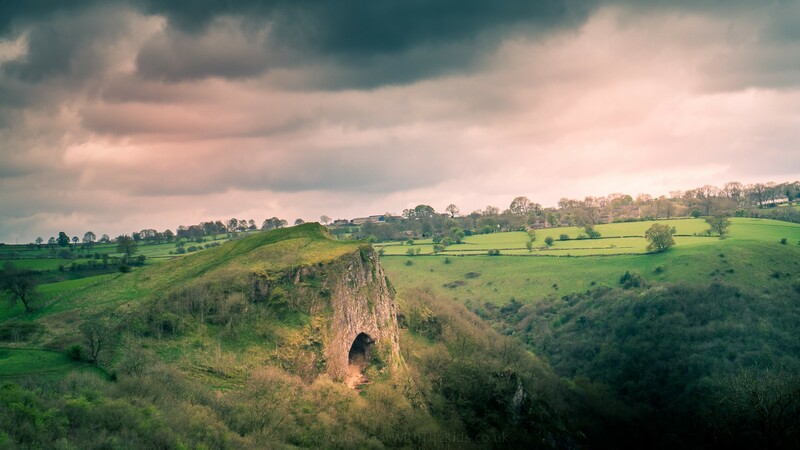 If you follow the Manifold Valley trail, which is the route of an old railway line, you can get to the much bigger Thor’s Cave. 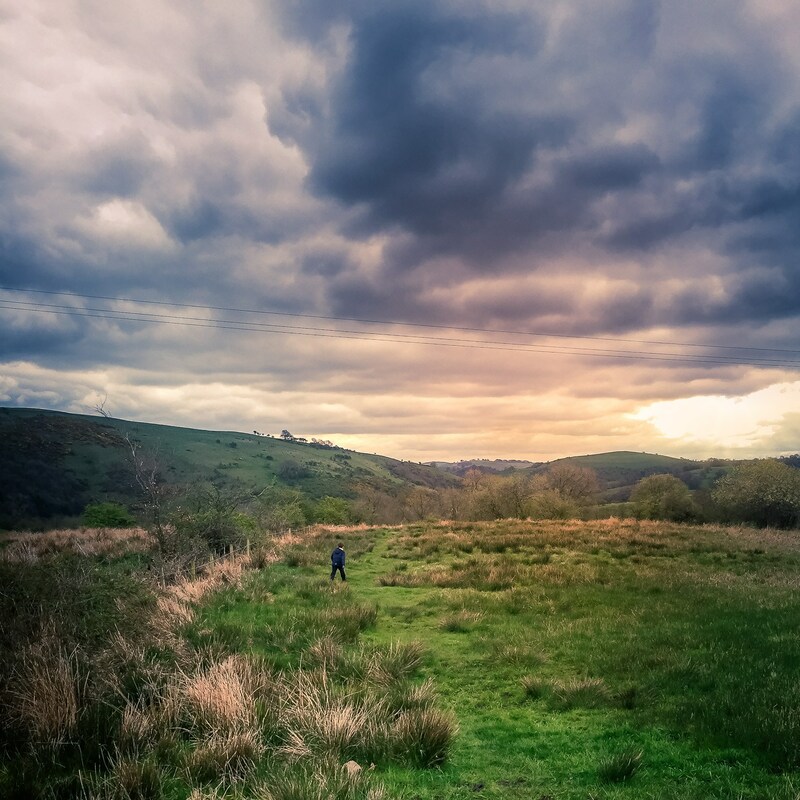 We headed off for a hike, up and over the hills, and through Peak District villages. Dramatic skies and changeable weather up on the hills! 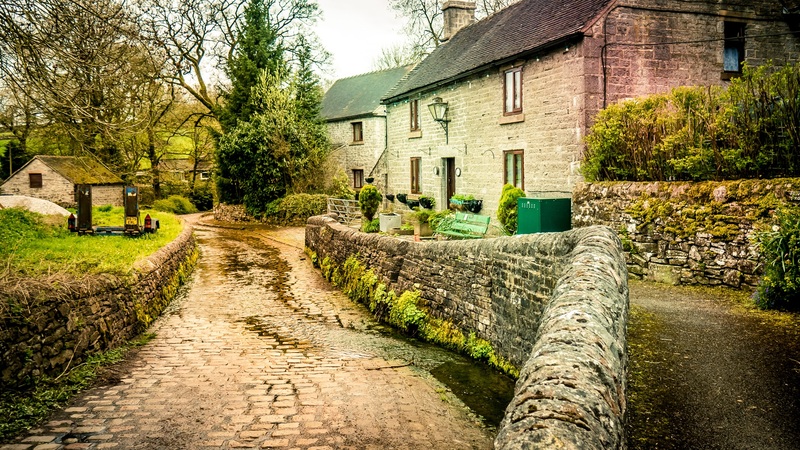 Old Peak District Villages, including this one with a stream running through its main road. 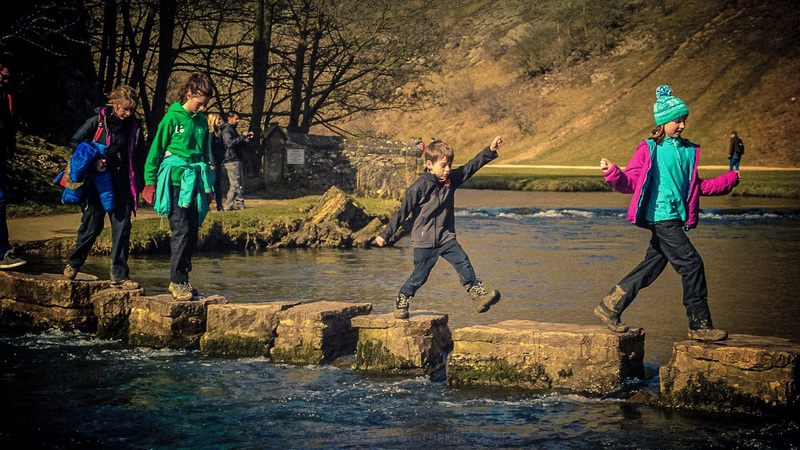 Also nearby is the famous Dovedale walk. If you fancy taking a cable car and touring some of the caves in the area, then visit the Heights of Abraham. Another disused railway line turned to good use is the Monsal Trail. There are plenty of places where you can hire bikes for family cycling. Cycling the Monsal Trail. 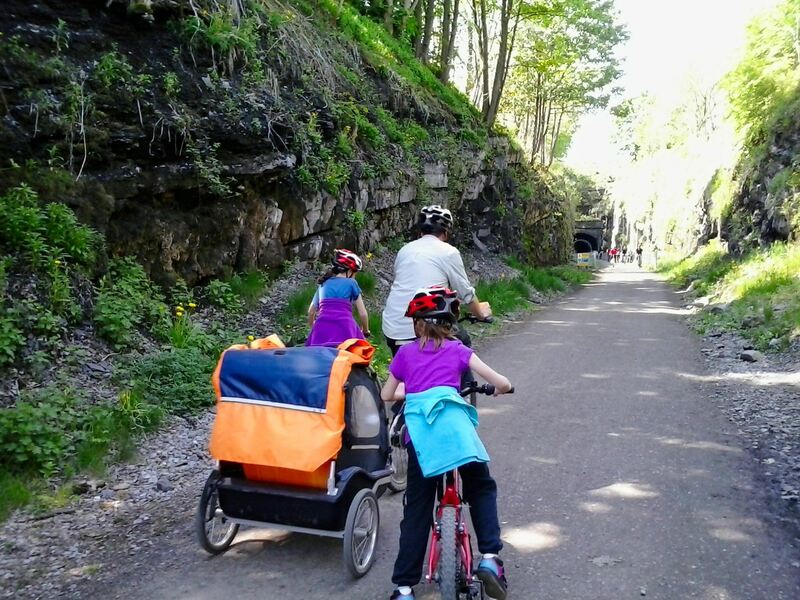 Family bike hire is available on the trail. We had an excellent time at Sandbrook Country Park. 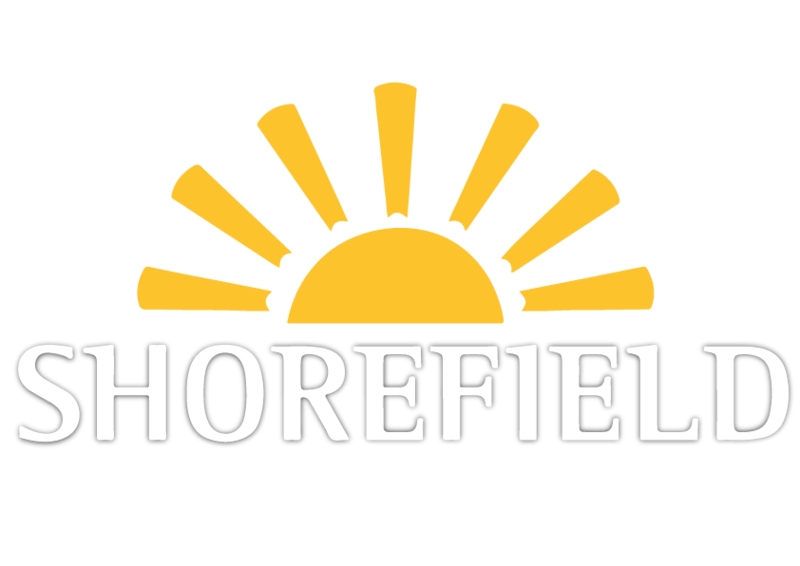 The staff were extremely helpful and friendly, the accommodation was top notch, and there was plenty to do. It gets the Thumbs Up from us! Here's how you can get in contact with Sandybrook.